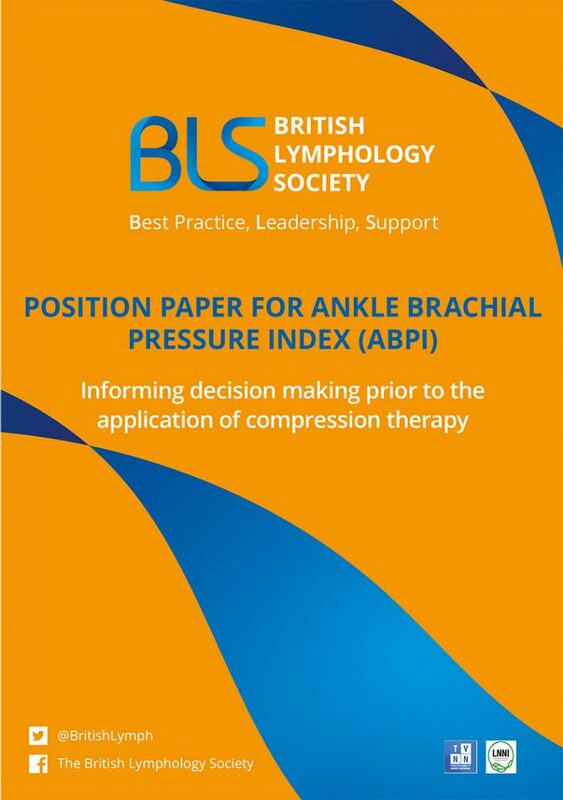 The British Lymphology Society’s (BLS) Position Paper For Ankle Brachial Pressure Index (ABPI) – Informing decision making prior to the application of compression therapy. The launch of this new document at the British Lymphology Society’s Annual Conference is anticipated to make a significant improvement to care of people with lower leg swelling and chronic leg wounds. On social media it has been hailed as a game-changer, with potential to make a huge impact on a growing chronic health problem and reducing the care costs if ineffective or inadequate treatment for the NHS. Rebecca Elwell, Macmillan Lymphoedema ANP, Royal Stoke University Hospital. This lively debate concluded that ABPI assessment in patients with lower limb oedema is not standard practice in most specialist lymphoedema clinics and that the BLS should develop a position paper to reflect this as soon as possible. The ABPI is the ratio of the blood pressure at the ankle to the blood pressure in the upper arm. Compared to the arm, lower blood pressure in the leg suggests blocked arteries due to peripheral artery disease (PAD). ABPI is calculated by dividing the systolic blood pressure at the ankle by the systolic blood pressure in the arm. ABPI is only part of vascular lower limb assessment along with the patient’s past medical history and current medication, and recording of symptoms and risk factors and a clinical examination being of paramount importance. It is well recognised that lymphoedema is a progressive condition which, if left untreated, may result in an increased risk of cellulitis (and thus sepsis), lymphorrhoea and skin changes, delayed healing of skin tears and wounds along with reduced mobility, due to increase size and weight of the limb.